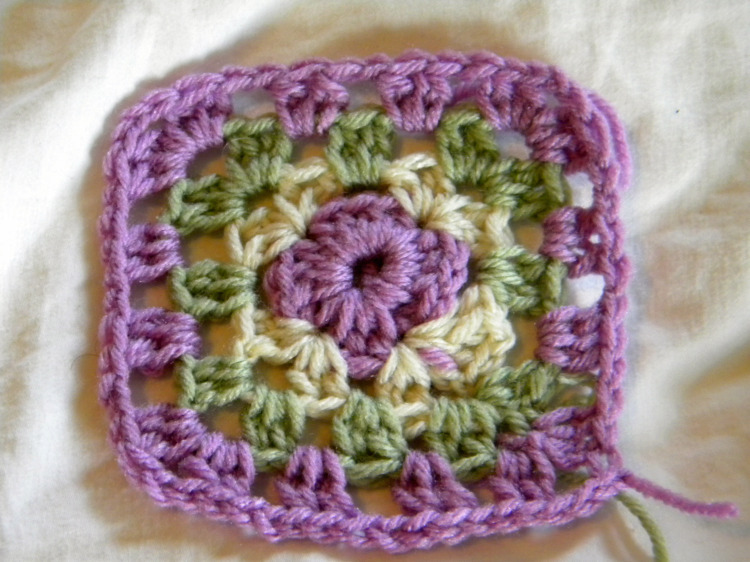 If you want to make most crochet projects you will need to know how to double crochet. The abbreviation for double crochet is (dc). It is not a difficult stitch to master with a little practice. Chain (ch) the required number of chain stitches. You can find more information in your project instructions. When you get the chain done, turn the project. Place the yarn over (yo) your hook so there are two loops on the hook. Push the hook through the third chain from the hook. Be sure to do this from front to back. Pull up a loop. There are now three loops on your hook. Bring the yarn over (yo) the hook, and pull the yarn through the first two loops on the hook. Bring the yarn over again, and gently draw the yarn through the last two loops. Pull the yarn through all of the loops and pull it up. You have completed a double crochet. Now continue to the end of the row. Chain two and turn. You just repeat this process until you have the required length, or as many times as the instructions tell you to. Knowing how to double crochet will allow you to make many projects and provides the basis for other, more complicated stitches.